Do you look like a street smart and strong orphaned girl in her late teens? How about a smart and capable 20-something? Star Wars Episode VII, Disney's first shot at the franchise, is to get two new stars from an open casting call in the UK, to start later this week. London, Dublin and Glasgow are among the locations targeted, as Disney searches for two young actors to add to its roster. Exactly who those characters are remains to be seen; Disney hasn't given any indication, even in the audition materials given to the prospective actors. For that matter, J.J. Abrams and Lawrence Kasdan have yet to write this thing, so it's a safe bet these characters aren't really fleshed out. For now, anyway. If you happen to be in an audition for, say, a smart, capable man in his late teens and early twenties, or a street smart and strong orphan girl in her late teens, you may be about to wind up in a galaxy far, far away. Most of the production will take place in the UK - Abrams will be living in London by Christmas - so it makes logistical sense to hire from the local talent pool. Twitter is Open Call's method of choice when it comes to getting the word out, so if you want to know where this is happening or whether or not you need to bring a headshot, better start following Claire Curry's feed, like a hawk pursues a plump mouse. 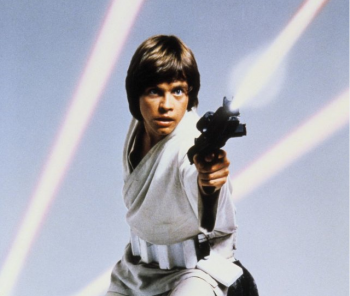 Yes, this kind of open casting is how Mark Hamill got his start, but fair warning: Disney really isn't trying to play up the Star Wars angle, at least not in the auditions. Turning up in your Stormtrooper armor, no matter how accurate it may be, is probably a bad idea.